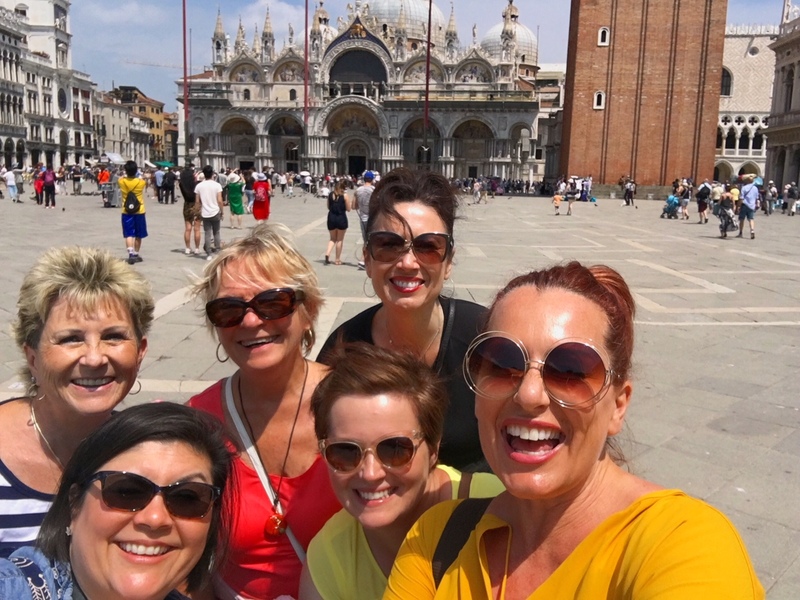 What Is A Glam Italia Tour? 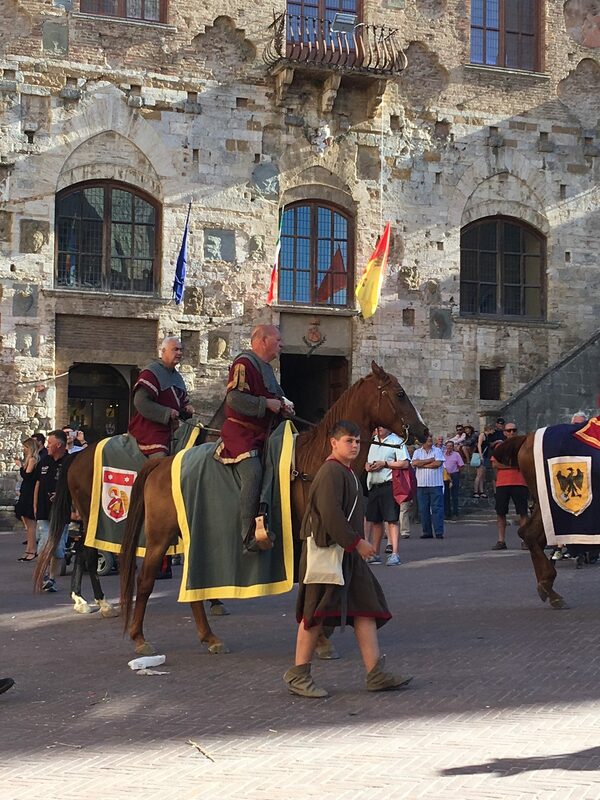 If you have been following this blog for a while, chances are you have heard me speaking about my Glam Italia Tours, and quite possibly don’t know what they are. 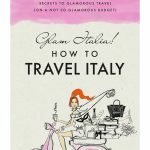 I don’t have a website for the Glam Tours at the moment, mostly because I have been so busy writing my new book, Glam Italia! How To Travel Italy. Who knew how much work was involved with writing and publishing a book?? Not me! Also, I only take a few tours each year, and they are always sold out, so I didn’t really feel any great sense of urgency. 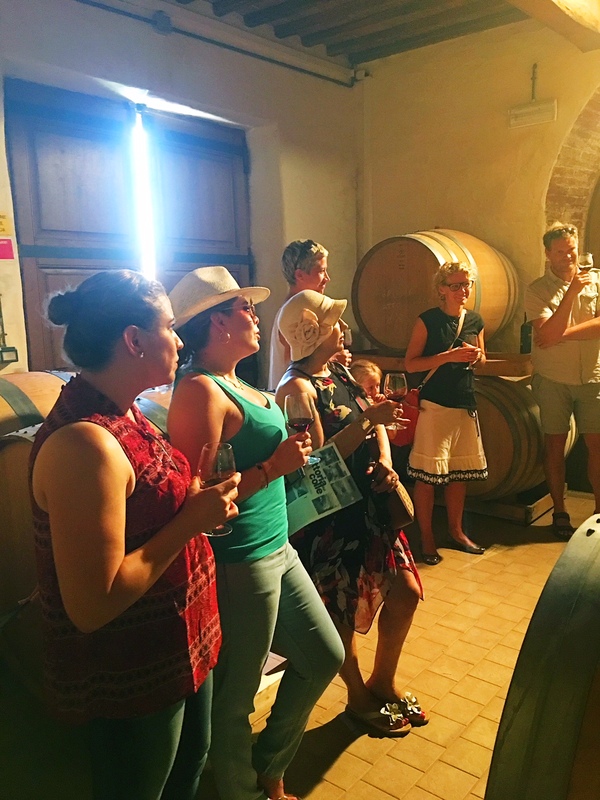 I will be putting up a website at some point, but for now this post will tell you about the Glam Italia Tours, where we go, what we do, and what makes them soooo special! 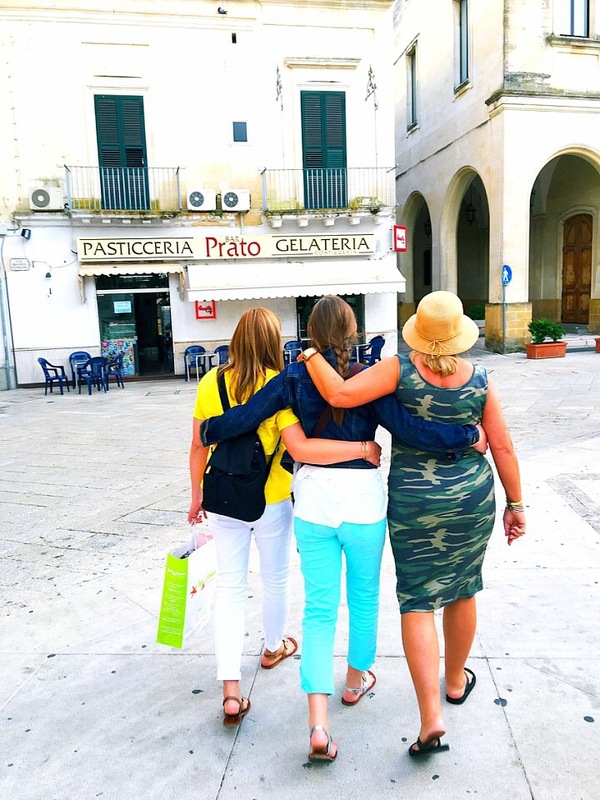 Glam Italia Tours are boutique, a la carte private tours of Italy for small groups of women. The average tour group is between 3 and 6 women. The idea is to keep it small and flexible so that I can craft the trip of a lifetime for each person on the tour. The smaller group size means we are able to spend as little or as much time as we want in any given place. 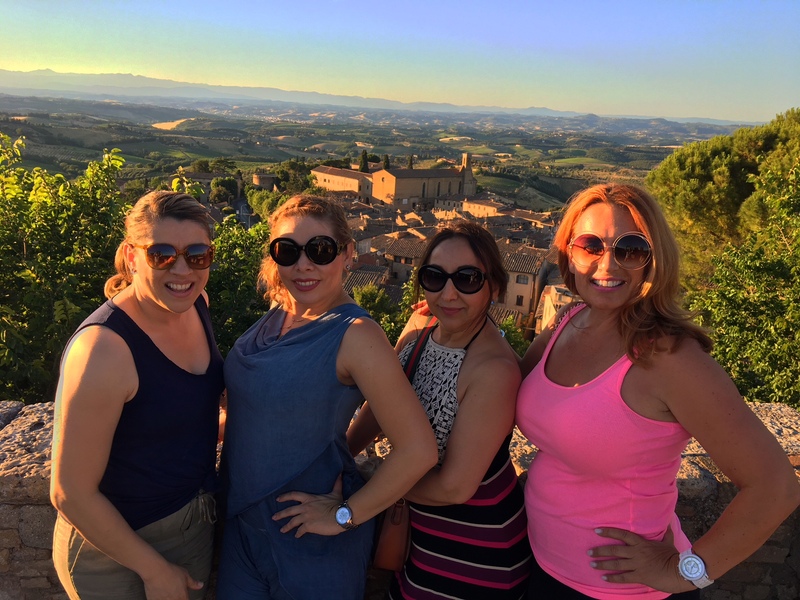 We can keep exploring little Tuscan villages if we feel like it, we can have 3 hour lunches with a view over the vineyards, or grab sandwiches and run to the Prada outlet – everything happens at our own pace instead of having to adhere to some big tour company’s schedule. If you don’t want to be on a big bus tour with 40 other people, and want more than the 5 hours in town that you get with the typical cruise, but the thought of doing it alone feels a bit overwhelming then a Glam Tour might be perfect for you. On the Glam Italia Tours we mix seeing the big tourist attractions such as the Vatican and the Colosseum, with exploring fabulous places that are a little bit off the beaten track where no tour buses go. 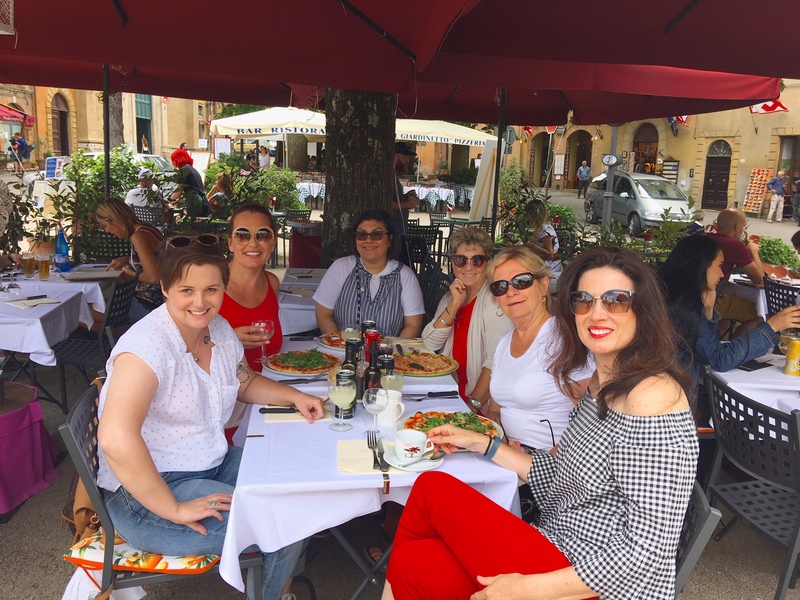 My travelers get the chance to meet and mingle with local Italians, shop in village markets, enjoy drinking coffees or prosecco (depending on the time of day) in centuries old piazzas, and dine in real Italian restaurants – the ones the locals eat at, far from the tourist crowds! Even when we are in major tourist cities such as Venice, Florence and Rome, we are far from the crowds, seeing amazing things the masses don’t know about, and having an entirely different type of travel experience. Who Can Go On A Glam Italia Tour? 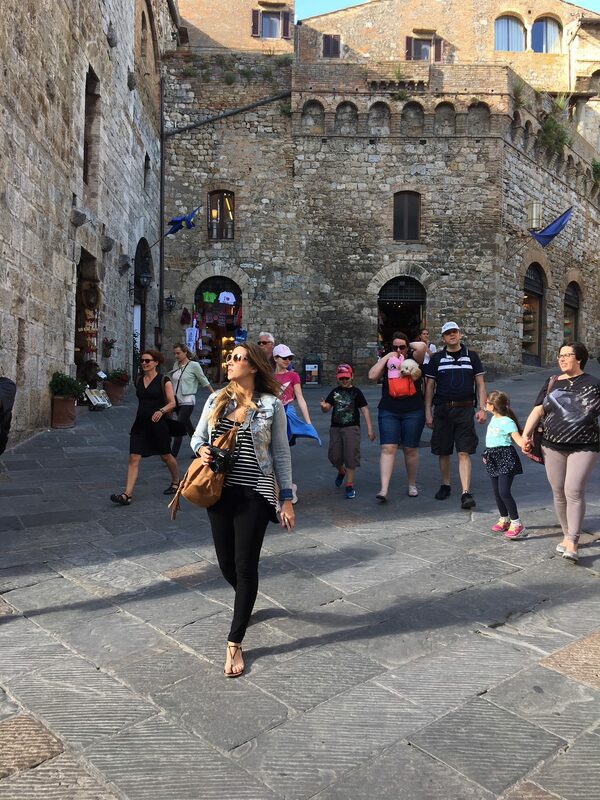 Glam Italia Tours are for women aged 35 and older. Sorry guys – this is all about female energy and we only do female-centric things. Where Do The Glam Tours Go? All Glam Italia Tours are a la carte, so they are built around your interests. Normally when it’s someone’s first time in Italy they want to see Florence/Tuscany, Venice, Rome and Amalfi Coast. 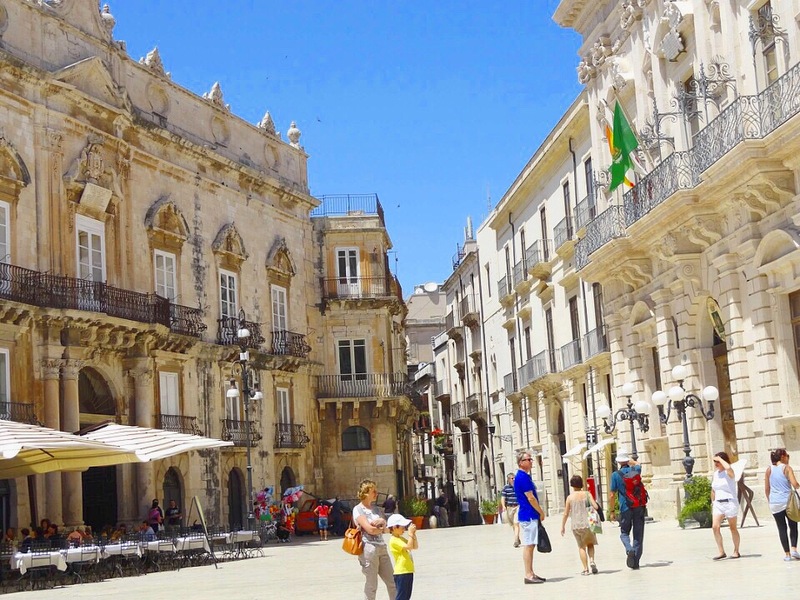 When they come back for their second and third tours we go to Sicily or Puglia or the Italian Riviera. Italy has so much to offer you can keep going back over and over and not see the same thing twice! The Glam Italia Tours use vacation rental apartments, villas, castles and palaces instead of hotels. 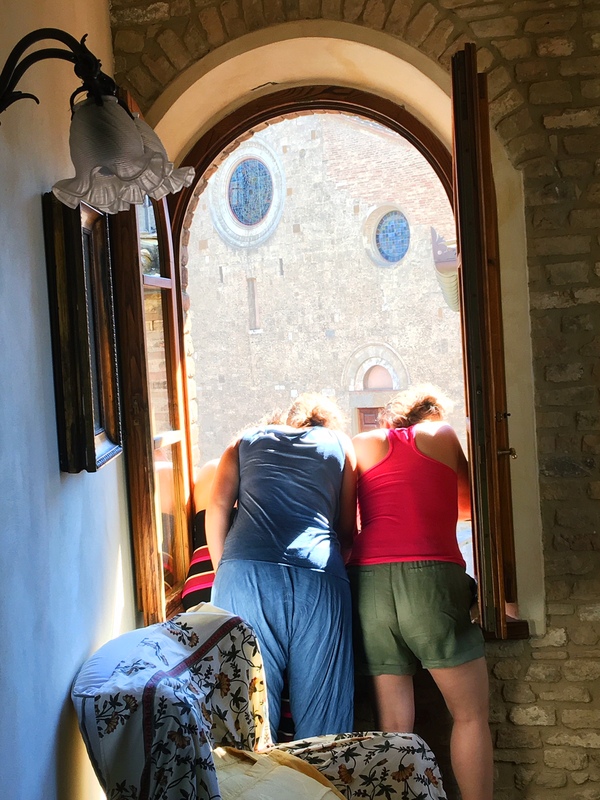 I have to tell you, you will never forget staying in a centuries old palazzo/apartment/villa – the experience is just magic! After a long day of sightseeing and being fabulous it’s nice to be able to lounge around on sofas, or sit out on the balcony with a glass of wine and an amazing view and just relax. In a hotel room you mostly get stuck with sitting on your bed, which is neither glamorous nor relaxing! Another benefit to staying in vacation rentals is that we get the experience of shopping in local markets and supermarkets. This lets us feel as though we are actually living in Italy for a while rather than just visiting. Eating out 3 times per day can be both exhausting and expensive, and you end up eating more than you want to. Having the opportunity to make the choice to eat in or eat out each day is quite freeing! The way I see it we are all grown ups and if you want to eat in or eat out it is entirely up to you! Typically we do a mixture of the two, with everyone generally opting to do the same thing. 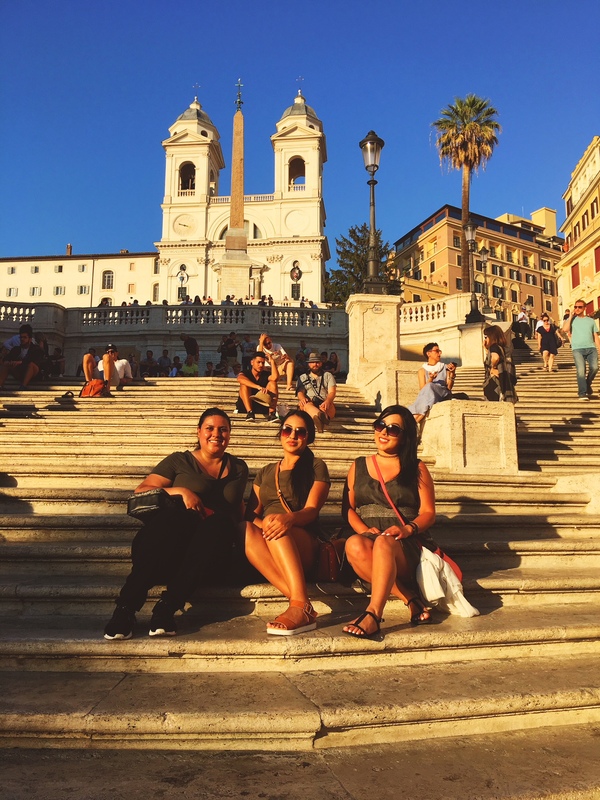 What Makes A Glam Italia Tour Different? In my book Glam Italia! 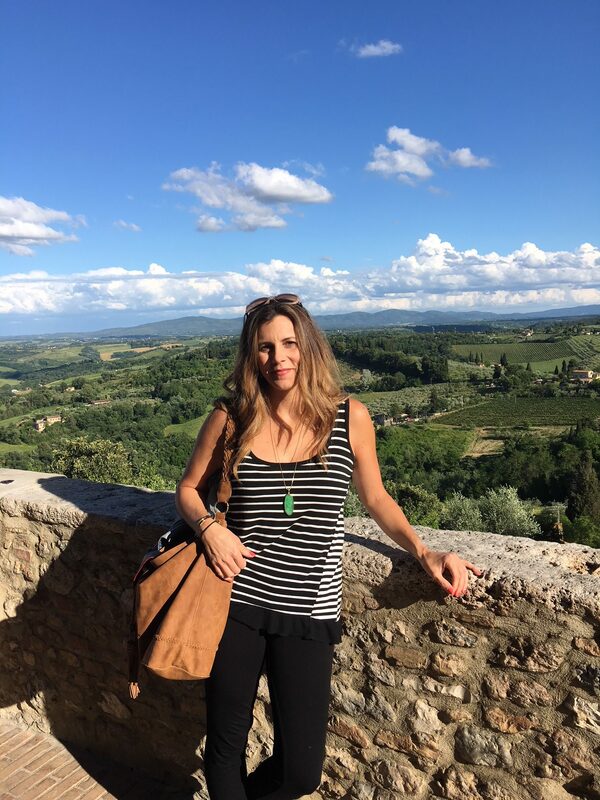 How To Travel Italy I talk about how important it is to create incredible experiences, and that is the focus of the Glam Italia Tours. Yes you will see some amazing sights, but more than that you will have endless fabulous experiences. 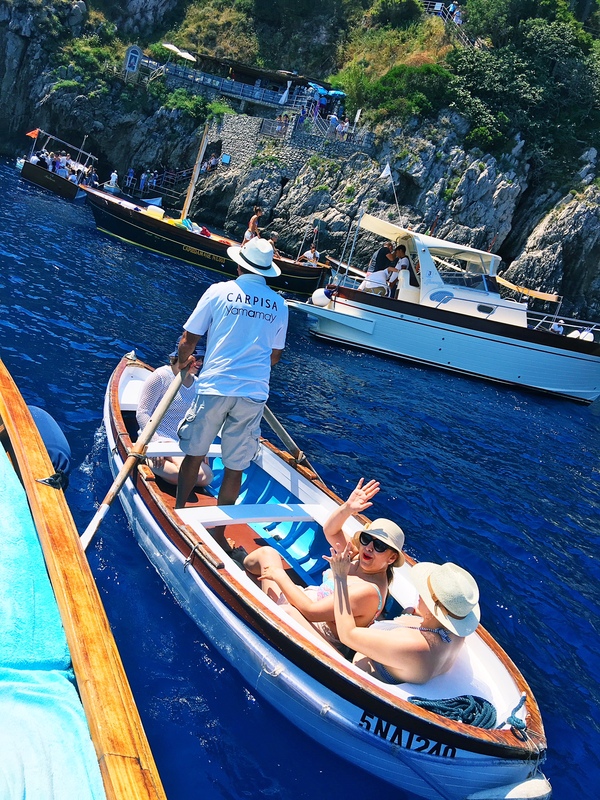 When we go to Capri we don’t just walk around and look at things, we charter a boat, circumnavigate the island, and go swimming in the Tyrrhenian Sea. The experience is just amazing! In Tuscany we end our days with a glass of wine and a view of the vineyards, in Rome we take in the sunset from the Janiculum Hill with a view over the city. Every day is filled with incredible experiences that will become lifelong memories. We also have incredible flexibility. You don’t have to be back on the bus at 3pm to go to the next attraction. We do everything in our own time. If we are in some little town and you don’t want to leave yet because you want to wander down more little streets and look at more things – no problem! We hang out longer. Alternatively if you have had enough and want to keep moving, we just jump back in the car and head off again. How Long Is A Glam Italia Tour? Because they are a la carte the Glam Tours can be any length you would like. Most Glam tours run 10-12 days, which seems to be a really good length of time. I definitely do not recommend any fewer than 10 days. If you want to throw in a free day or a beach day on top of the tour itinerary then 12-14 days is a good amount of time. No, Glam Italia Tours are not expensive. They cost a little more than the mainstream big bus tours but are priced for normal folks. Part of the point of doing this was to open up the opportunity to travel for regular people. For the average person a tour of Italy can seem out of reach, but really it can be quite accessible! Why are they called Glam Italia Tours? When I did my first tour it was for one lady, and she didn’t want to feel like the people stomping on and off the tour buses. She wanted to feel pretty and lovely without having to be dressed to the nines. 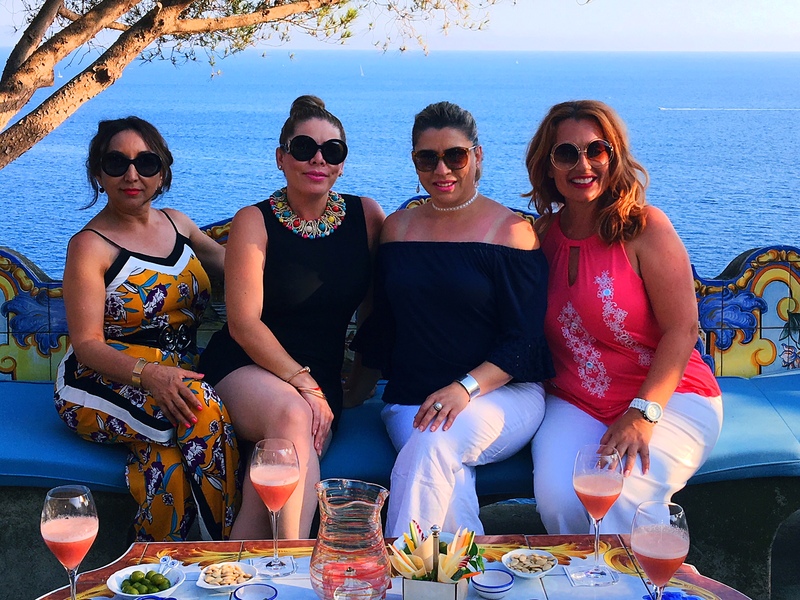 The whole point of the trip was to have all these amazing experiences and feel a bit glamorous while having them, hence they became known as the Glam Italia Tours! How Do I Get On A Glam Tour? If you would like to do a Glam Italia Tour reach out to me via the contact page on this blog. 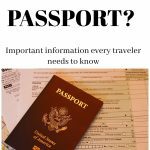 Previous Post You Need To Know This Abut Your Passport And Your Taxes! I can attest and highly recommend these tours… because, I just came off one, and still flying high from it!!! The tour was amazing and that is almost an understatement… it was everything I expected, and I even got a little more from it! Corinna does a bang up job as a tour guide and mediator! Everything is SO organized and what was offered to us, happened. She has amazing contacts, accommodations, drivers and tour guides, who were worth every penny! 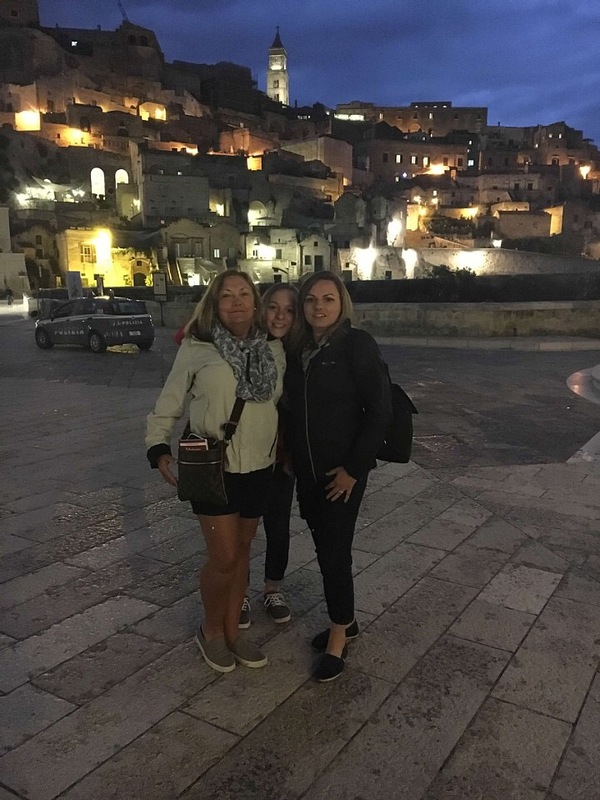 She has so much passion for Italy and she wants you to see as much as you can, and since she speaks Italian, that is worth the price of admission, the locals love her, when we arrived in Capri, we thought we were with Sophia Loren, they went gaa-gaa for her!!! 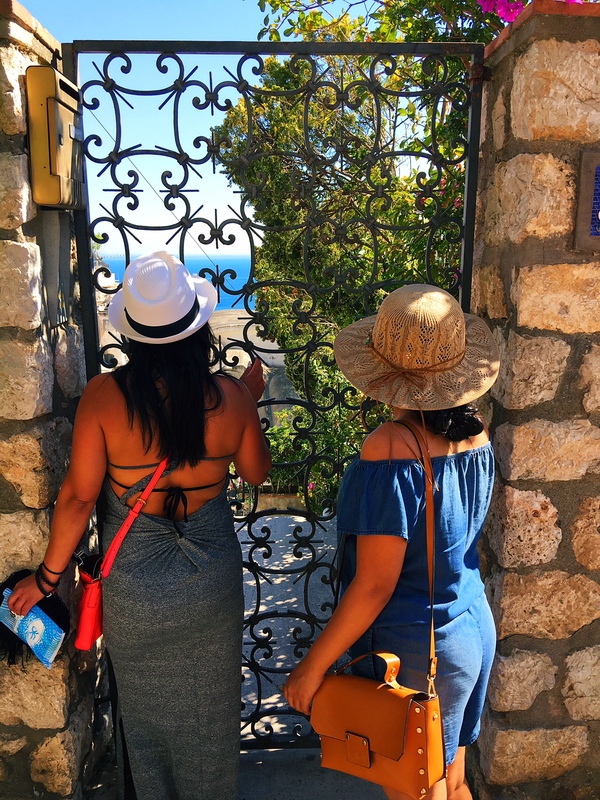 If you have always wanted to go to Italy… this is the tour for you ladies… don’t hold back, get on a Glam Tour Italia!!! Thank you Erin!! 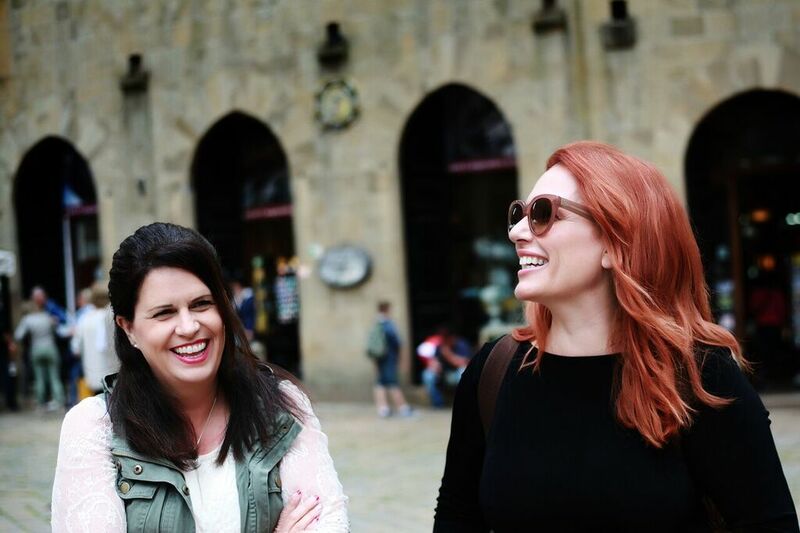 I had such a blast taking you through Italy – I am so bummed the trip is over! Capri was a scream. I would love to be back on the Janiculum Hill watching the sunset over Rome, or buzzing around Venice in that gorgeous boat heading over to the Cipriani. We made soe great memories on your Glam Italia tour!! it seems that you enjoyed your trip a lot, even next month me too going ialia with family for 7 days trip. Hope everthing would be good, your article is very helpful to understand the most scene places. Thanks for sharing your trip experience. Thank you for taking the time to leave me a message. 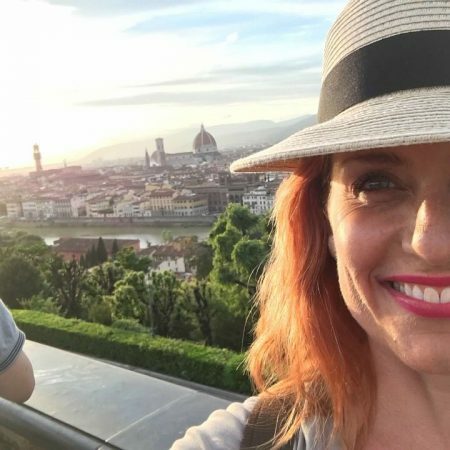 I live for my Italy trips, it is my favorite country to visit. Gretchen they are so much fun! And it’s not frantic travel – it’s all really chill, so you actually get to enjoy it and soak it all in. I would like information on your Glam Italia tours. I would love to talk to you about the Glam Italia Tours! If you email me I can reply to you privately rather than publicly. Me and my Daughter are interested in going to Italy this year. Please let me know about the tour or tours you will be doing. Can you email me? I just tried to email you from the email on this comment but am not sure if it went through or not. I would love to talk to you about the tours! Hi! Just bought your book & will be going to Rome & Florence this year with 5 girl cousins! But I’m still interested in goin on your personal Glam Tour! Thank you for buying my book! I hope you enjoy it. There is a new book coming in the next few weeks, this one is all about fantastic things to do in Rome. If you get on the newsletter/private member list you will get all the early info on it.